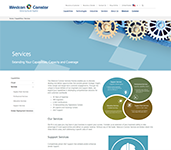 Do Your Customers Have Complete Visibility of Their Current Security Solutions? Gartner, Inc. has estimated that $82 billion was spent on information security in 2016, and yet many organizations were breached. Prevention techniques alone do not suffice. Your customers need better threat detection, prediction and containment technologies to accelerate threat response and mitigation. The return on investment and benefits of helping your customer to get the most from their security tools are both tangible and measurable when deploying a Security Delivery Platform. A true unified security platform and the simplification of IT Visibility provides a business with the ability to see their data and if they can’t see it, they can’t understand it and they can’t secure it. 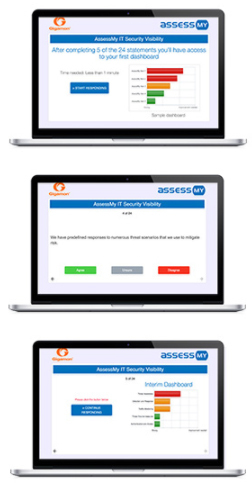 In just over three minutes, the AssessMy self-assessment will provide insight into areas where there may not be a clear visibility, which is needed for a full security posture. AssessMy is a value-add initiative, exclusively brought to you by Westcon Security, that enables you to engage in better discussions with your customers and in return will generate qualified end-user leads. Help Your Customers Identify Which of Their Network Security Sectors Will Improve Most and How Can They Positively Impact Their Users? Westcon, alongside Gigamon, has teamed up with AssessMy to make the process of identifying your customer’s business network vulnerabilities easier than ever before. The process begins by inviting end-users to answer a remarkably straightforward online assessment. In just over 3 minutes, you will be able to assist your customers to find out the answers to their security needs. Once the assessment has been completed, your customers will have access to a bespoke Executive report based on the responses entered. Our Gigamon Westcon Product Sales Manager can help you understand how this powerful tool can help you take advantage and assist you on how to bring present this well-rounded and comprehensive solution to your end-customers. The AssessMy self-assessment will take your customers answers and measure them against industry best practice –from there, they will get a weighted, unbiased assessment of their current security visibility which can of course be directly applied to making any changes or even staying at their current state. It will help you deliver pure consultative value in a short amount of time. The questionnaire is very simple to answer but is technical enough to tackle the core parts of the regulations – by simply selecting Agree, Disagree, or Unsure to each statement. The complexity of what takes place in the back-end as we compile your customer’s answers, gives you a fully bespoke, actionable report that can be used to be proactively ahead of any projects your customers may be considering or to assist them by helping they stay ahead of current issues that will need to be resolved around security, compliance or across their network today. 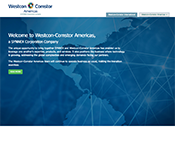 To learn more about this lead-generation program, please contact Wendy Wilson, Westcon’s Gigamon Product Sales Manager, at 303-566-2640 or WendyWil@westcon-na.com. Copyright © 2017 AssessMy. ALL RIGHTS RESERVED.